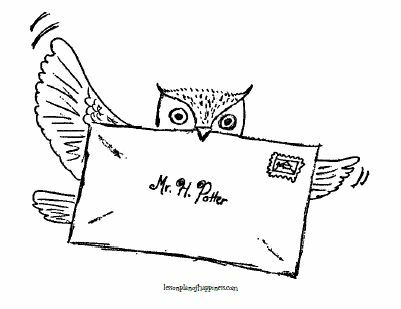 A coloring page of a mail owl trying to deliver a letter to “Mr. H. Potter.” Click on the picture to go to the full-sized PDF! What a treasure! Thank you so much! I am using your work to tutor a student in Math and she will be as delighted with this as I am!